Headed to the US Open? 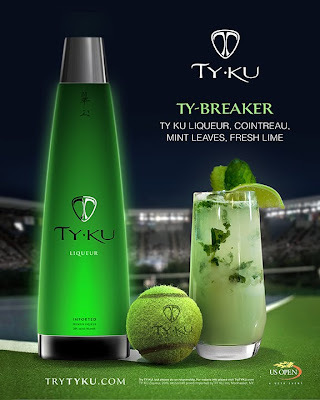 Keep you eye out for TY KU Asian Wine & Spirits' new signature cocktail -- the TY-BREAKER -- being served at Aces and Champions Bar & Grill. It features TY KU Premium Liqueur, Cointreau, mint leaves and fresh lime. The folks over at TY KU have been kind enough to offer free bottles of TY KU (below) to five lucky readers who follow us on Facebook or Twitter. E-mail your full name, mailing address, and either your unique Facebook or Twitter URL to nycdailydeals@gmail.com and we'll select five winners at noon today. You'll also recieve a free TY KU hat in your package. Good luck! Congrats to our five winners who I'll be contacting shortly! Gabe D, Lauren B, Melissa Z, Ariana R, and Lauren M.